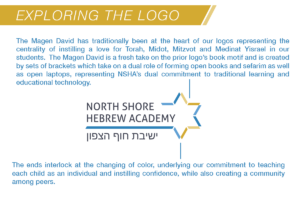 Today, as part of our 62 year journey, we are excited to share our new Toddler – Grade 8 logo, a symbol that celebrates our North Shore Hebrew Academy mission and core values. When North Shore Hebrew Academy first opened its doors in 1955, a handful of students sat in its classrooms. 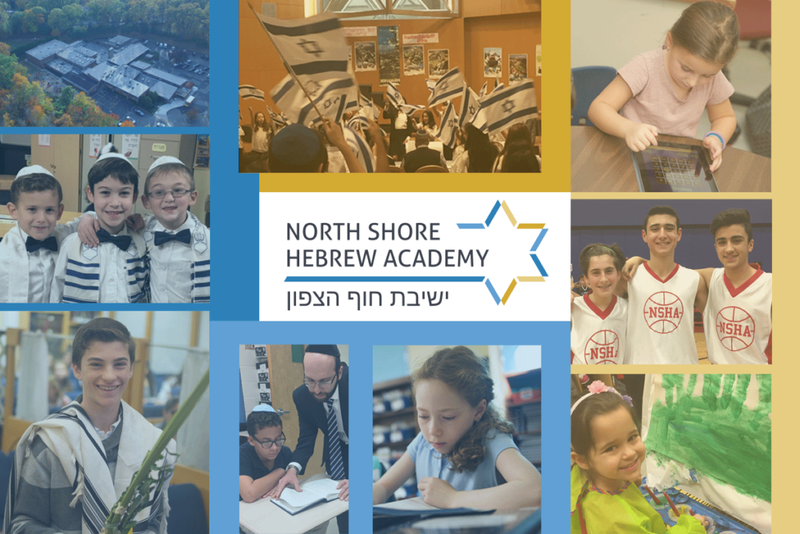 Today, our Early Childhood, Elementary and Middle Schools are over 650 students strong, spanning three campuses; we have over 145 faculty members dedicated to North Shore Hebrew Academy’s mission of delivering a premier Judaic and General studies education while instilling Torah values in our students. This growth didn’t happen overnight or accidentally. Throughout the years, the collaboration of our leadership, educators, parents and community have cultivated the stellar curriculum, programming, faculty and warm, nurturing learning environment for which we are known today. That kind of dedication involves embracing innovation and hard work. For us, that means inspiring and elevating each student to his or her full potential, while cultivating a joy for learning each day. 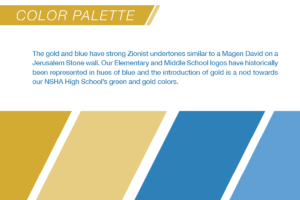 It means integrating a love of Torah, Tefila, Mitzvot, Medinat Yisrael and Derech Eretz into every class and program. It means understanding and teaching children as individuals, while ensuring they have a strong sense of community among their peers. We always seek the most effective way to teach young minds inside the classroom, on the playing field and through special programs. 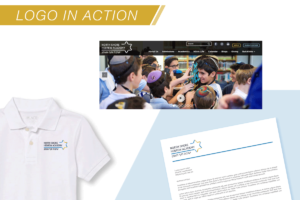 We are dedicated to promoting a lifetime love of learning so that North Shore Hebrew Academy stays with our students and families long after they’ve thrown their caps into the air. 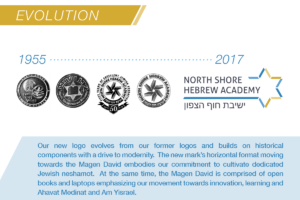 Our new logo celebrates all that North Shore Hebrew Academy has stood for historically and the journey that begins anew each school year. Together — as a community — we explore the road ahead.